It has Dim Mode, changeable Millwall Pictures and customizable Overlays. Tap Date window to switch between 9 overlay patterns 10 is empty. 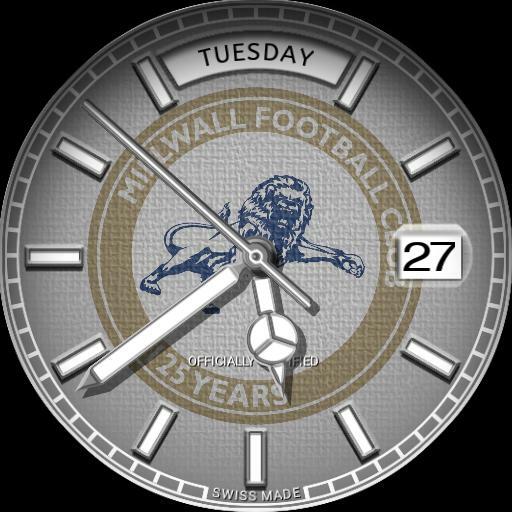 If no Millwall Picture is selected you can switch the colors in the watchmaker app of the background and combine the overlay patterns with it.